﻿ SAS Management Inc.ITIL Intermediate at 50% off - SAS Management Inc.
Over the years, SAS Management, Inc. is constantly the top provider of quality training specializing in ITIL, Project Management Professional (PMP), COBIT5, RESILIA, and PRINCE2. Recently, we have been given the opportunity to be the only AXELOS Consulting Partner in the country. 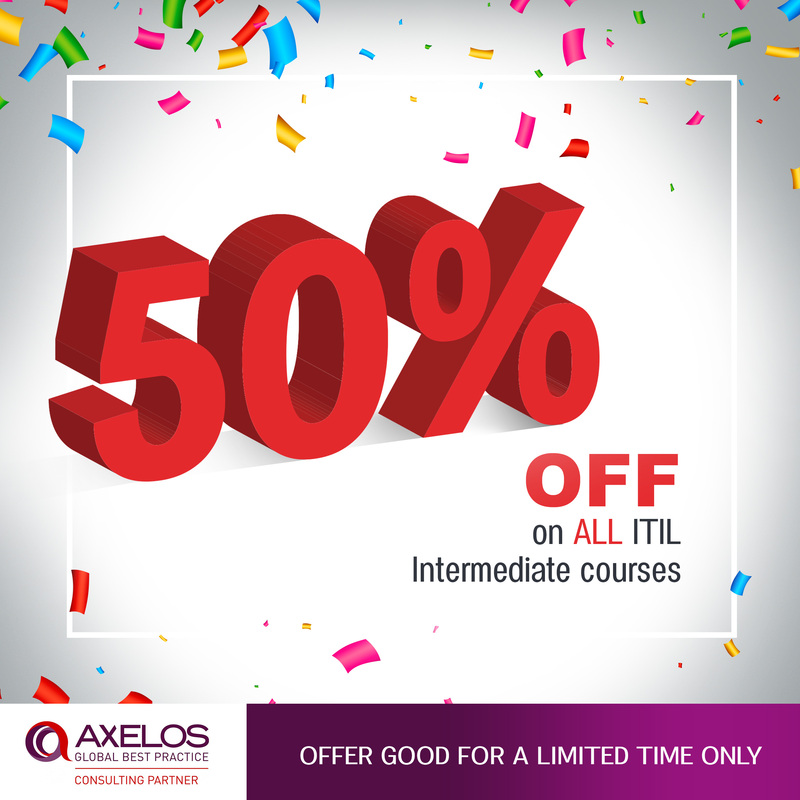 To celebrate this, we are offering 50% off on all ITIL Intermediate courses. As AXELOS Consulting Partner, not only we conduct training classes, but we also provide consulting services in the AXELOS Global Best Practice Portfolio. This includes ITIL, RESILIA, PRINCE2, MSP, MoP, M_o_R, and P3M3. High level assessments for the ITIL Maturity Model and P3M3 self-assessments can only be conducted by AXELOS Consulting Partners. We always deliver results. Now, this is how we create value. When we celebrate, we want YOU to be a part of it and experience how to be SAStig! Call our Metro Manila office (Makati and Ortigas) at +63 (2) 654-5951 and Cebu office at (032) 416-0361 to reserve seats. You may also send an email to info@saservices.com.ph.